ST. PETERSBURG, Fla - Katie Clawson of Capabal kennel and LK's Crush N It of Lashmet kennel scored box-to-wire victories Wednesday to earn berths in the championship race of the $10,000 Thanksgiving Stakes at Derby Lane. The top four finishers in the two qualifying events advanced to the 550-yard title race set for Saturday at 10 p.m. in Race 10. First place pays $4,500. Katie Clawson, a 33-month-old female from a litter by Swahill Elle and Lori Keith, defeated meet win leader and three-time stakes winner Jiminy Reno for the second time in seven days. Trained by Belinda Parker for owner Kathleen Thurber, Katie Clawson clocked 550 yards in 30.51 seconds. She paid $9.60 to win as the second wagering choice. Jiminy Reno, the 2-5 favorite, was second followed by SE's Wepon X (Nova kennel) and Flying Amity (Everett Racing). "I am happy because (SE's Wepon X) qualified for the final,'' Nova trainer Miguel Valenzuela said "I guess Jiminy Reno is still the dog to beat.'' LK's Crush N It, a 23-month-old male by LK's Now R Never and LK's All In, prevailed in 30.53 seconds. He paid $9.60 to win as the third wagering pick. LK's Crush N It is trained by Ken Deacon for owner Jill Lashmet. Kentucky Boy (Cal Holland) was second followed by Flamenco Dancer (Farmer Racing) and Dutch Vodka (Lester Raines). 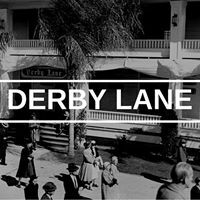 The Thanksgiving is Derby Lane's final 550 stakes of 2018. I have been a sports writer in the newspaper industry for 40 years: working in Florida, Maryland and Virginia. I moved to Florida in 1984 after serving as the publicity director of Charles Town Race Track, a thoroughbred facility in West Virginia. I reside in Tampa, Fla., and cover the Tampa Bay area parimutuel scene – both greyhounds and thoroughbreds – and write about high school sports for the Tampa Bay Times.